Very robust polyurethane hoof. Used as a limping treatment. 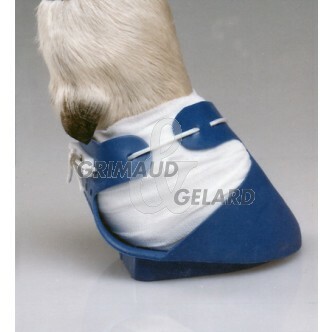 Heal the hoof, cover it with a bandage and slip on the hoof. Relieves and provides a fast recovery. Prevents from stains and infections.